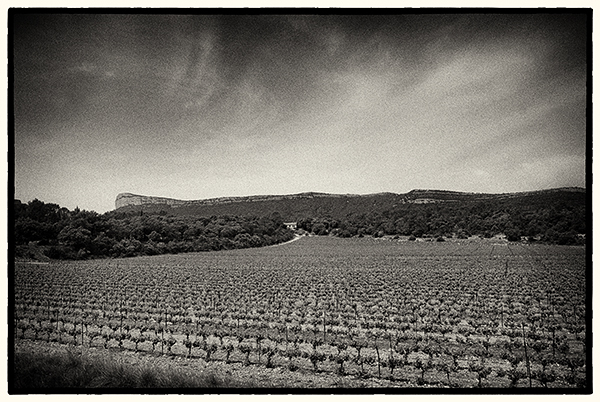 The Pic St.Loup appellation is found in the hills some 20 km north of Montpellier. Whilst many of the pretty villages on the drive up from the city have been tamed and ‘gentrified’ into dormitory settlements , there remains a sense of wildness cramming in from the fringes, and this becomes more readily apparent when the dramatic crags of Pic St.Loup and the Montagne de l’Hortus come into view. Domaine de l’Hortus is nestled into the valley between the two, and must surely constitute one of the most idyllic vineyard locations anywhere in France. 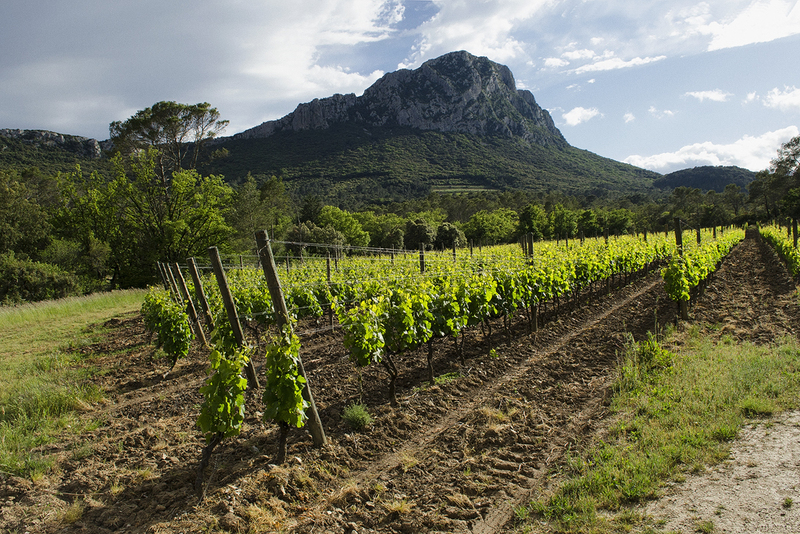 An hour or two spent walking through the vines in the warmth and silence of an early summer’s evening, the brooding presence of the limestone crags on each side, is perfectly capable of being an experience bordering on the sublime. The estate was founded in 1979 by Jean & Marie Thérèse Orleac when they purchased a substantial plot of old scrub vines and olive trees in the valley here. Due to the backbreaking work of planting and establishing the vineyard, it was to be another decade before they were able to produce their first wine. Vine husbandry has been organic from the outset, and there is a strong philosophy of sustainability which is echoed in the iconic and recently extended wooden buildings here, the design of which more seems to owe more to something from perhaps Oregon than to any southern French tradition. The Orleacs, who have been joined by son Yves and daughter Marie, now have some 60 hectares under vine, which include some rented and farmed parcels 25 kilometres away which supply the ‘Loup dans la Bergerie’ cuvées. The original vineyard produces Syrah, Grenache & some Mourvèdre from the warmer and more exposed slopes of the Massif de l’Hortus itself, and there is some Chardonnay, Muscat and Viognier which go into the lovely white cuvées. The reds are finer grained than many in the Languedoc, sometimes austere in their youth, but developing notes of cherries and wild herbs, with fine tannins and excellent acidity, the Grand Cuvée particularly bringing polish and refinement, the whites creamy, floral and zesty and capable of ageing beautifully. Amongst their wines which we have in the shop is one of our best sellers, the gloriously ‘gouleyant’ and irresistibly labelled red 2012 Le Loup dans la Bergerie. 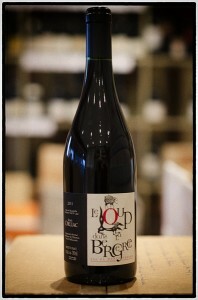 At a very friendly £9.95 a bottle if you buy in half-dozens, there is no excuse not to try it.